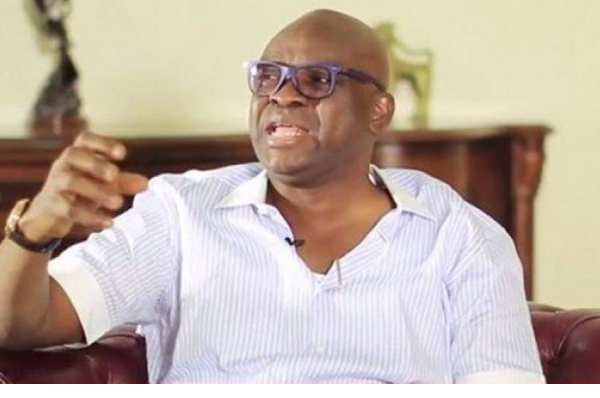 The Governor of Ekiti State, Ayodele Fayose has called on the federal government to tell Nigerians the truth about ‘Boko Haram overrunning the military base in Borno State. Fayose said this while reacting to reports that Boko Haram killed some soldiers during an attack in Gudumbale, Guzamala Local Government Area of Borno State.Borno State deputy governor, Usman Mamman Durkwa had on Saturday confirmed that Boko Haram attacked a military base located in Gudumbali, the Headquarters of Guzamala Local Government Area of the state. Although Durkwa insisted that he was yet to get the actual number of casualties from security forces, after he had conversation with the Police Commissioner, Mr. Damian Chukwu and the Brigade Commander of Military Forces in Monguno, sources said several soldiers fled the area due to the firepower of the insurgents. Reacting to the incident, Fayose on Twitter said the killing of soldiers who risk their lives to defend Nigeria was disgusting.